Just because we have the technology to (fill in the blank), does it mean that we should? Dive, Jeremy Seifert’s first film, was an eye-opener to the practise of dumpster diving. I was moste intrigued by the promo pictures of Jeremy in a bathing suit speedo and swim goggles diving into… garbage! Even though most dumpster diving isn’t as extreme, the point Dive got across was that Americans are throwing away tons of perfectly gorgeous food for the wrong reasons. Dive won 26 awards internationally. It was food for thought indeed. For Jeremy’s second documentary feature, he tackles the heavy issue of GMOs, turning a seriously obscure and convoluted issue into an intelligible one. GMO OMG stars Jeremy with his young family, trying to figure out what on Earth are GMOs. He gets his cute, innocent sons to wear these funky glasses he designed from craft-store paraphernalia. He tells them their glasses would reveal where the GMOs are. In fact, GMOs are everywhere but invisible – except for their ruinous effects on the health of our planet and every living creature. Most people have no clue what they are or that they’re eating them. 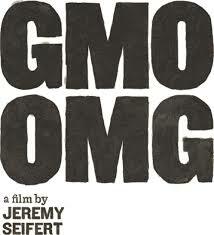 Jeremy said that he didn’t set out to make an ANTI-GMO film. 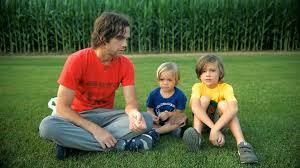 He just wanted to help his young son Finn, who featured in Dive, learn about seeds. Food is a political subject. Especially intriguing is war-torn and earthquake-ravaged Haiti, who with a starving populace burned and destroyed GMO seeds offered to them. The more Jeremy found out about seeds, the more alarmed he became. Well after starting the film, he came to Nature’s Path Foods looking for funding as my family has been vocally and vehemently opposed to GMOs since they first came out. My dad Arran said in the 1990s, “There is no wall high enough to keep out GMOs.” Jeremy showed dad a few clips and on that basis my family provided funding for him. This isn’t what Nature’s Path normally does. Funding a film like this is a first for the Nature’s Path breakfast-cereal family. Few other medium – large sized organic companies have stepped up for the consumer’s right to know. 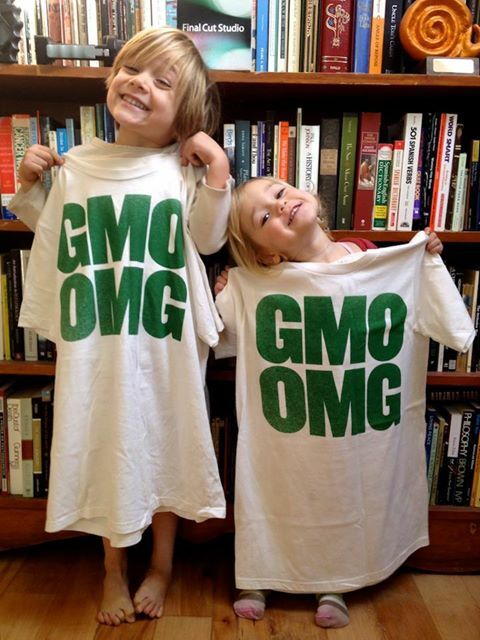 This is because they are owned by big multinational brands that oppose labelling of GMOs. Most larger organic companies pretend to be independent, quirky, organic brands but they’re not. Nature’s Path, being truly independent, can stand up to bullies and not worry about their parent companies gagging them. (David and Goliath?) These same monster multinational companies have lost the battle in 64 other nations around the world who require labelling or outright ban GMOs. They are terrified of North American consumers finding out what’s in their food. The greatest weapon against GMOs is an informed public. There is such a campaign of misinformation by monster corporations who stand to gain by GMOs. Jeremy’s film explains and destroys the arguments of the false promises of GMOs to reduce pesticide use and promises to feed the world. GMOs are poisoning the planet, killing the bees, poisoning us. And the truth is that after initial promising yields of GMOs, over time they are outperformed by organic methods of agriculture. Like the tobacco lobby of the last generation, GMO proponents give “scientific evidence” that their foods are safe. Well, dozens of countries have done the same long-term studies on GMOs and found that they are not safe for human or animal consumption. They are not conducive to the well-being of our planet. Most people are so confused about the science that they cannot actually grasp what is wrong with GMOs that are in our food supply. 3) GMOs are not proven safe for human consumption. They were foisted onto N. America after 3 month-long studies on rats. Every long-term study shows cause for concern. 4) Is it ethical for a company to patent life after inserting one or two toxic genes? As Dr Vandana Shiva says, they are not creating anything but polluting life. Jeremy Seifert manages to convey truth about GMOs in a humble, humorous and thoughtful way such that most folks can begin to understand what is so very wrong about them. Even if people are not so sure on the science, they need to be given a choice whether they want to eat them. Given what we do know. This entry was posted in Arran Stephens, Bees, Food heros, Mobilize and March, Organic, Right to Know, Sustainable Business, The Environment, The Triple Bottom Line, Trail-Blazers and tagged Arran Stephens, Dive, Genetically modified organism, GMO, GMO OMG, Jeremy Seifert, Vandana Shiva on September 12, 2013 by Gurdeep Stephens.